Resources tagged with "digital marketing"
Keep your activity on track and consistent with this simple toolkit for developing social media guidelines. Learn how to take a strategic approach to developing or redeveloping your organisation's website to ensure it contributes to the success of your organisation. Are you responsible for getting your organisation noticed by the outside world but have a million other things to do? This training video will give you 20 top tips to help you make your life more manageable by focusing on the marketing and communication tools that work. Gain inspiration from Sport England's 'This Girl Can' campaign. Plus, explore data science and the irrational nature of human beings. This AMA conference 2015 collection explores big data, embedding digital experimentation and the cultural organisation of the future. Discover more about Digital Marketing Academy 1.0. This report includes an overview of the programme, case studies from three of the Fellows, details of the experiments that took place and the impact they had on their organisations. Discover what ROI is, how to use it to your advantage and how it can and should be applied to the marketing choices we make as we plan. This guide was commissioned by The Audience Agency from Culture24 as part of Audience Finder. Learn how to gather evidence about device-specific user behaviour on your website, when you need to do something about it and what you should be considering. 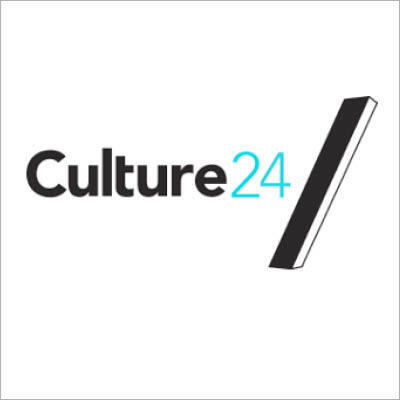 This resource, commissioned by The Audience Agency from Culture24 as part of Audience Finder, is aimed at content producers within cultural organisations. No previous Search Engine Optimisation (SEO) knowledge is necessary, and this resource does not seek to cover the more technical SEO practices. Explore how marketing and programming teams can work together and how digital projects can bring together marketing, art and audience. This is a transcript from a session at Digital First, featuring presentations by Chloe Rickard from Kneehigh and Sarah Ellis from the Royal Shakespeare Company. Discover how Theatre Royal Stratford East is using the power of digital technology to break down barriers, give audiences a voice and extend their community reach. This paper explores their success at integrating new technologies into their planning process and continuously shifting their attitude across the whole organisation. You can also read up on how their ideas have been implemented in their campaign and project work such as Home Theatre (UK). Sir Peter Bazalgette sets out Arts Council England's vision for the future of innovation in arts production, digital distribution, sales, marketing and fundraising. Johan Lindblom considers how a more strategic and creative approach to communications can play an even bigger part in marketing. This article was first published on Idek, a blog based in Sweden. First published on Idek a cultural marketing blog based in Sweden, this article by Håkan Färje from the National Library of Sweden, considers the extent to which a cultural institution can or should use Wikipedia. Time To Read - a partnership of people working in 22 library authorities in North West England - shares its experience of commissioning a video to promote reading and libraries. In March 2010 the Victoria and Albert Museum launched its online platform the V&A Channel to house an exciting and ever-changing output of high-quality films relating to the Museum and its activities. The aim was to create a distinctive and compelling content provider, and bring the innovative approach and philosophy of the Museum's V&A magazine to film. This case study describes how the Channel has been developed and managed, and how the V&A uses the films in as many ways as possible to make the most of the content. The Manchester Literature Festival has taken place every October since 2006 and is the city’s largest literary event. In this case study, Kate Feld describes the Festival's 2013 online digital marketing campaign, which included e-newsletters, Facebook, Twitter and blogging. The success of this campaign, particularly its social media activity, contributed to the Festival attracting a larger and more diverse audience, with increased engagement with the event. Brighton Dome is the major arts and cultural provider in Brighton and Hove and offers year-round high quality performances across all art forms. In May Brighton Dome also produces the annual Brighton Festival - a high-profile, three-week international producing and commissioning arts festival. This case study describes how the Brighton Dome redeveloped its website and digital platforms as part of a CRM and rebrand project. In this article, Owen Buttolph, Business Analyst at MediaCom Edinburgh, considers the different roles that digital devices (mobile, tablet, laptop) can play in our lives based on how we use them and the implications for digital marketing activity. It makes reference to a recent study published in the Journal of Advertising Research that explored the effectiveness of video advertising and how it is impacted by the different devices used. In this article, Owen Buttolph, Business Analyst at MediaCom Edinburgh, discusses the importance of website analytics and provides a brief overview of two approaches to analysing digital data. The Royal Shakespeare Company (RSC) and Google Creative Lab considered the question: “what would a play look like on the internet?” The outcome was an ambitious idea to stage A Midsummer Night’s Dream in real-time over the course of three days in June 2013. Characters in Midsummer Night's Dreaming (#dream40) also shared snippets - photos, text updates and videos - about the story on the RSC’s Google+ page as it played out, as would happen on social media about a real life event. The Globe is a rural arts venue based in the town of Hay-on-Wye in Powys. It’s used for live music, theatre, art exhibitions, community groups, debates, workshops and as a general cafe/restaurant. Since relaunching its website, improving its search engine optimisation, user experience and digital marketing practices, the Globe has seen a dramatic change in its online presence. This case study describes the ways in which the Globe improved its online visibility. From music to comic books, from charity donations to reminders from your dentist, the power of the mobile is being felt more and more frequently across multiple industries, as the most personal technology device yet invented. This level of personal connection to our devices is what makes the mobile platform such a challenge to integrate into the marketing mix – as well as offering exciting opportunities to be creative in reaching out to our audiences. The mobile internet means lots of new opportunities for arts marketing professionals and developing a strategy for mobile marketing starts with understanding how, and why, your audiences interact with the technology. If customer relationship management requires that communications are tailored, personalised and reasonably specific to the individuals and their behaviours, then the same is required for eCRM – only more so, as for most people, the device receiving the communication is intensely personal and most messages are specifically for them. Nancy Proctor analyses some of the strengths and weaknesses of three popular mobile marketing platforms. Twitter is an important platform for Providence Performing Arts Center (PPAC) in Rhode Island, US, to raise awareness of new shows and events. This case study explains how PPAC designates special seats within the auditorium to individuals who tweet about a show whilst they are watching the performance. Tweet seats aims to help raise the profile of the venue and introduce PPAC to new audiences. Friends, fans and followers - the Liverpool Philharmonic Orchestra has all of these and the tools to help them communicate with their audience in a personalised and fashion. They also enable them to have two-way rather than one-way conversations and enable them to increase the transparency of the organisation along with more conversations and involvement with their audiences. In this article Anna Rafferty explains how Penguin Books has developed a more meaningful and intimate relationship with consumers, in her case readers. She gives examples of promotions including the invitation to write a blog reviewing a Penguin Classic and the involvement of teenagers in the launch of a website to promote teen books. This non-arts case study demonstrates how the Scottish Government and its partner agencies used a strategy of ‘positive social norming’ to get over half a million people talking about organ donation. This paper outlines the rationale behind the new strategic approach (to get people talking) and the activity that underpinned the campaign. In particular, this case study is a great example of effective field and digital marketing. People were encouraged to publicly celebrate support for organ donation via a virtual wall of supporter photos and messages. And it worked. Master the art of blogging with this concise 12-point beginner's guide to getting a blog up and running. When planning a marketing video it is important to identify its target audience and marketing objectives, and to ensure content is not overshadowed by artistic expression. A distribution strategy needs to be devised and, wherever possible, outcomes measured. This comprehensive guide identifies six key points to consider when planning a marketing video to ensure the video is first and foremost a marketing tool. National Museums Scotland formally launched its Museum Explorer mobile app in October 2012. The app is available to download on iPhone, iPod Touch or iPad and challenges visitors to discover and explore the museum by tracking down nine mystery objects to find 4-digit codes to unlock special explorer badges. Collecting all nine badges enables visitors to become the ultimate museum explorer. In this case study, Hugh Wallace, Head of Digital Media at National Museums Scotland, describes the processes behind the development of this new app. The website creativetourist.com began as a collaborative digital marketing campaign for the Manchester Museums Consortium - nine of the large museums and galleries in Manchester city centre and The Quays. It now averages 50,000 unique hits a month from a highly engaged and loyal cultural readership, and has broadened its remit to promote cultural activities across the city and the North. This case study describes how the creation of this site helped to develop joint marketing and partnership working between the cultural and tourism sector aimed at the cultural tourist; culturally motivated visitors looking for memorable cultural experiences. The ways in which Manchester Museum shares information and engages with its visitors has changed considerably in recent years. Since its first blog was published in 2007, the number of Manchester Museum blogs has grown. In this case study, Steve Devine, new media officer at Manchester Museum, discusses how blogging allows the museum to broadcast information but more importantly allows its visitors to participate and get involved. Blogs enable small but passionate niche audiences to engage globally. London's Horniman Museum and Gardens has a very visible and varied social media presence, posting a wide variety of content to multiple platforms. In this case study, Adrian Murphy, digital media manager at the museum, explains how a digital team of just two people manages this prolific social media activity. The Manchester International Festival (MIF) is a biennial international arts and culture festival with a focus on original new work. In this case study, Katie Moffat, social media and digital communications consultant, speaks to Robert Martin, digital marketing manager at MIF about the Festival's digital marketing strategy. To level off the peaks and troughs of audience engagement associated with biennial events, the MIF engages with its online communities - its blog, Twitter account and Facebook page - all year round, not just immediately before or during the festival. What is ‘hyperlocal’ journalism and how can it help you? Local websites and blogs can be both a useful source of information and also a vital link to communities for arts and cultural audiences as Sarah Hartley from hyperlocal experts Talk About Local explains in this guide. This guide explores how hand-crafted lettering and illustration can make your brand stand out. A case study following the development of the Museum of London's iPhone and iPad app to coincide with their Dickens and London exhibition. Explains the background to the project, the objectives behind creating an app, the process of building the app, and the outcomes. Discover what the museum discovered around app pricing and driving footfall to physical locations with a digital campaign. Digital tactics replace stations and channels replace lines in this digital marketing plan inspired by the iconic London Underground Tube map. From social media and CRM through to analytics and email marketing, this map presents an overview of the digital opportunities available to cultural marketers.